Problem management is the one IT service management process that tends to return more benefits more quickly than any of the others. 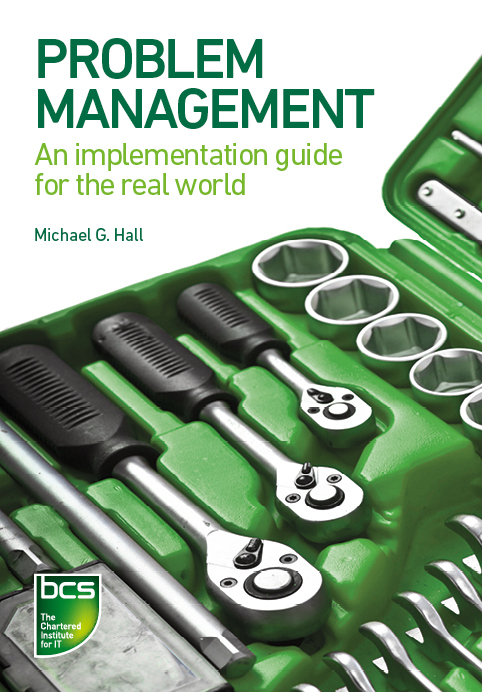 This book offers practical, real-world guidance on all aspects of implementing and running an effective problem management function. Offering advice and recommendations tailored to different types of organisations, it gives IT practitioners, consultants and managers the tools to add real value to their businesses. Michael Hall has over 25 years' experience in IT, developing and leading teams, managing change programmes and implementing service management. A specialist in service operations, he implemented problem management as a global function at Deutsche Bank. He is a Chartered IT Professional (CITP) in Service Management. 1. What is problem management? 9. Where next for problem management? Michael covers problem management from soup to nuts. Regardless of the maturity of your problem management process, this book will improve it. A must read! This is essential reading for anyone who wants to take problem management seriously. I thoroughly recommend it.